Something that people ask me all the time is what to do with a small poker bankroll. They might only have $100, $50 or sometimes as little as $10! With a small poker bankroll of $50 or less you are simply going to have to play very tight and be very selective about what games you play in. Also, with a bankroll of this size you should play either cash games or sit and gos at the very lowest stakes. It is possible to grow a small bankroll into a fortune but it will take patience and some luck as well. So this is why I don't really recommend playing with a really small bankroll, especially as low as $10 or $20. However, I do understand that some people either cannot or do not want to deposit more. Also some people might have gotten their micro sized bankroll by winning a freeroll and just want to see what they can do with it. I did something similar many years ago to start my poker career - I sold play money chips. 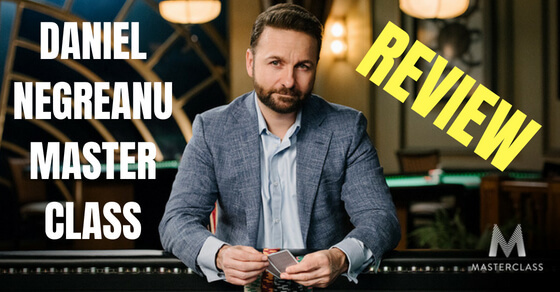 So in this article I am going to tell you what the best poker games to choose are, and the best strategies to use, to grow your small poker bankroll. First things first, with a tiny poker bankroll of $10 or $20 you are simply going to be short no matter what game type you choose or what limits you start at. When I say short what I mean is that the size of your bankroll is inadequate for the games that you are playing in. In plain language this means that your risk of ruin (chances of losing it all) are much higher than if you were to use proper bankroll management. So therefore, your hands are really tied in many ways no matter what you do. The best way to make the best of this bad situation though is to play tight. And by tight I mean incredibly tight, like a complete nit! You get the idea. 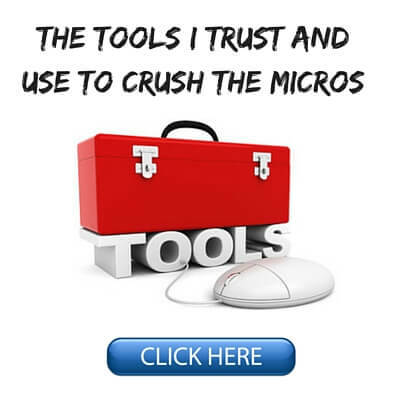 This will give you the best chance of getting your money in good and growing your bankroll. If you choose to play all sorts of speculative hands like suited aces and suited connectors, you are essentially gambling with money that you cannot afford to lose. Secondly, you are going to have to be very choosy about which games you decide to play in. I preach about the importance of table selection in today's games all the time on this blog. Well, if you are on a critically low poker bankroll and don't want to lose it all, then you have no choice but to start heeding this advice. When I say be selective about which games you play in, I mean that there is ALWAYS at least one fish seated at the table no matter what. If there isn't, then you leave. What this does is ensure that there is always at least one soft spot at the table who is giving his money away. You will be able to regularly get in pots with them while having big advantage (odds in your favor) especially if you follow the advice above to play extremely tight. Consistently getting your money in good is exactly what you need when you are on a small poker bankroll. You can't afford to play against good regulars all the time because they simply won't put themselves in positions where you have a huge advantage very often. This means that the edges are a lot smaller and your variance (swings) will increase dramatically. 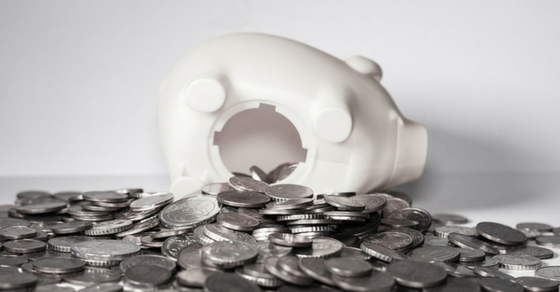 These are two things that you need to avoid with a limited amount of poker funds. One of the best ways to play against bad players on a consistent basis is to simply play at the softest poker rooms online. The next thing that you have to decide is which game type to play in, cash games, sit and go's or tournaments. While this is largely a personal thing, and there are many pros and cons to each, on a small bankroll I would suggest playing either cash games or sit and go's. In other words don't even think about playing tournaments! The reason why cash games and sit and go's are preferable is because they have relatively low variance compared to tournaments. What I mean by this is that you will "book a win" much more often in them. This is exactly the kind of thing that you need when your poker funds are in short supply. 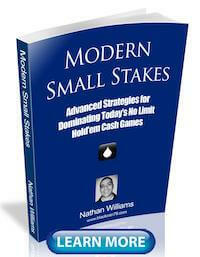 Furthermore, it is much easier to table select and only play against bad players in cash games or sit and go's. In large tournaments you are at the mercy of whatever table you get randomly seated at. This should almost go without saying but when you are on a short poker bankroll, then it is imperative that you play at the very lowest stakes offered. Most online poker sites have cash games and sit and go's with buyins as low as $1. If your bankroll is $20, then this gives you a reasonable chance at overcoming basic variance and building up your bankroll. Even though I would never suggest this normally, if you have limited poker funds I would recommend buying in for the minimum on the cash game tables. This will help protect your fledgling bankroll and give you more chances to succeed. With limited funds I would also suggest leaving when you double up. When your poker bankroll is at such low levels, you never want to be playing deep stacked if you don't have to. 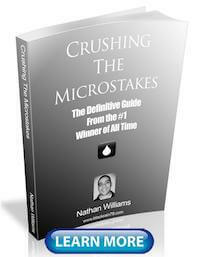 Most online poker sites have a large number of tables to choose from at the micro stakes. Once you manage to double up your initial buyin, leave the table and go join another one. Everybody has to start somewhere in poker. For me that was $60 from selling play money chips. I took that to the very lowest stakes cash games, 1c/2c blinds, and very slowly climbed up the limits. From this tiny initial amount I have since made over 6 figures playing this game and even turned it into a full time career as I talked about in my last blog post. So even though a micro sized bankroll is by no means ideal, it is workable if you are ready to start from the bottom and take it very slow. Most people make the mistake of catching a few winning sessions and then immediately raising the stakes. This is a serious mistake because it was probably just variance that made them win in the first place. You should stay at the very lowest stakes until you are well bankrolled for the next limit which means at least 30 buyins. So for instance, the next stake for cash games on a lot of poker sites after 1c/2c is 2c/5c. You should have at least 30 full buyins (a full buyin means 100 big blinds) for this game before you even think about playing it. This means $150 in your bankroll ($5 x 30 = $150). It is imperative that if you manage to survive and grow your bankroll, that you don't make the same mistake again by playing short at the next limit. Playing on a small poker bankroll is never an ideal situation to be in no matter what stakes or game type you choose. This is why the best thing that you can do is simply deposit a proper amount to begin with. But I understand that this is not an option for everybody and I myself started in a similar situation. 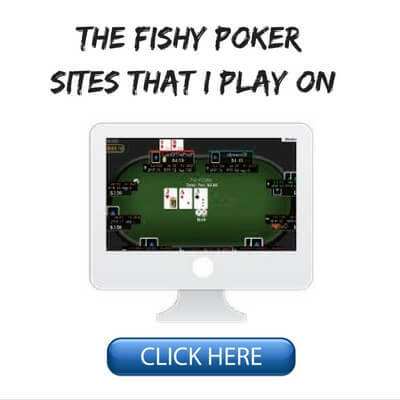 You can help your chances considerably though by playing very tight, being extremely selective about which games you join, playing cash games or sit and go's and starting at the very lowest stakes. If you manage to survive the early going then the sky is the limit as to where you can go. Just remember to take it slow and use good bankroll management at all times in the future. 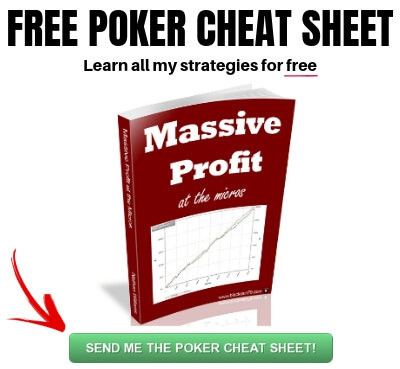 If you want to learn the strategies that I used to grow $60 into a massive poker bankroll and career, make sure to pick up a copy of my free ebook. Let me know your thoughts on playing with a limited poker bankroll in the comments below. If you found this article helpful, do me a favor and give it a "Like" or a "Tweet" below. Thanks! Thank you for the advice, here i go with my low BR, so going to give it a bash!!! Good luck hope it works out! Mid/short play isn't really my specialty but if I was under bankrolled I would keep it very tight like this maybe opening up slightly when in LP. If playing sngs you will have to expand your ranges during the later blind levels as well. 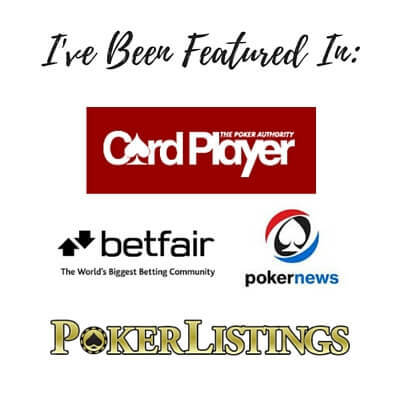 look into Jimmy James' "Automatic Poker" there is a book on Amazon, he streams on twitch and posts videos to youtube. he plays a mid/cap stack strategy (30bb) that seems to work quite well. Im not promoting in any way since I have no affiliation,but check "the spare change bankroll challenge" on youtube. The guy has some solid advice on short stack holdem. Thanks for another good read. Thanks Todd glad you enjoyed. I start in 2005 from freerolls, never make a deposit, start in nl2, in 2008 I was a regular winner in nl25, in 2010 I quit, after 5 months break even, lost the passion for the game, but in 2015 pokerstars send me 5 1 dollar tickets, the passion is back and I'm growing my bankroll again from zero. Thanks BigThief and congrats on your success! In the past I was able to reach US$ 75,00 starting with just US$ 3,00 twice, table selecting and leaving while doubling as you suggest. Unfortunately, Pokerstars made it harder imposing a higher buy in when you start a game in another table after winning. Variance is always around the corner. Example CO opens 4BB, everyone folds to hero in BB with AA: 3bet 16BB, CO 4bet all in, hero calls. CO has AK off. YES!!!! flop ok, turn K, river K hero loses! I'm a regular winner, not a crusher, but a regular winner: I've had dozens of hands like this in the last 100K hand. Result? I had a downswing of about 20 buy-ins. Promptly recovered, but ... you must have the right bankroll or ... you must cross your fingers and hope for the best. The variance got me and I've lost my 30usd in hands like these, or with hands like shoved sets against gutshots, str8 draws or f.draws, very sick. Add some bad calls from me. Anyway, have played some freerols and won some cents, then played some sit n go and build 2 bucks lol. 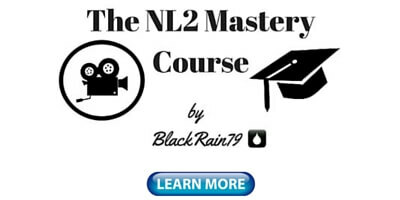 I think I will stick with the plan to build a small b.roll playing 10cents sit n go to go back to nl2. Thanks Nathan for your shared knowledge.